john alfredo harris – elaine harris productions. John Alfredo Harris’s work skillfully combines utility and originality. 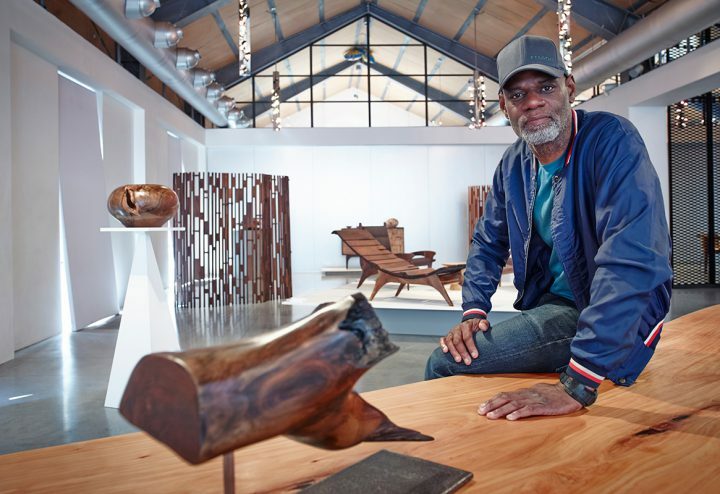 At once technical and sustainable, sensitive and original, his one-off creations in reclaimed wood stem from the quest for an asceticism that is elegant, subtle and richly expressive. 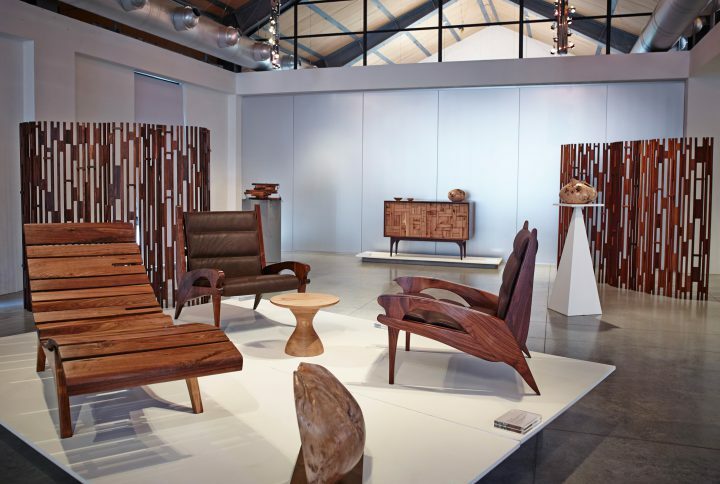 Inspiration can be traced to both the American tradition of a George Nakashima and Ralph Rapson, along with European designers like Janette Laverrière and Gustave Gautier. The latter’s influence can be seen in the extreme delicacy of the finishes and articulations, and in the bold play on veneers. Originally from Nottingham, John Alfredo Harris has called London, New York, Paris and now Hastings his home; his creative expressions spanning music – [part of the acid jazz quartet ‘the Sandals’] – fashion- art direction, set- and landscape design. Rhythmically sculpting wood with his own hands in smooth and solid, light and languid lines he presents us in tangible form the unfathomable strength, subtlety, beauty and intricacy of nature. Treasuring the traces he uncovers and brings to bloom the wood’s history grafted in timber. Bold and beautiful, delicate and daring, in Harris’ world there is no contradiction, only harmony resonating from within.